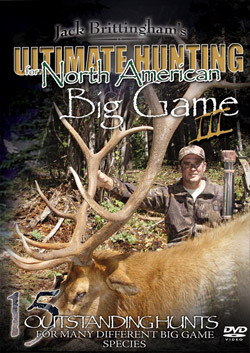 The “Ultimate” hunting team has once again had an outstanding hunting year! 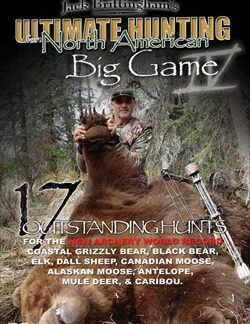 We begin this production with some terrific Brown Bear hunts in Alaska with both bow and rifle. You will be amazed at how close the action is! The same holds true for my Alaskan Moose hunt and Brad Severs Caribou in Quebec. 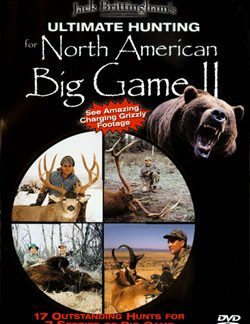 Then we move South to New Mexico where Steve LeBlanc takes a Boone & Crockett Antelope with his rifle. We then switch gears for some of the best Elk hunts we have ever taped. Join us on six different Elk hunts where the bugling is so loud you may want to turn down the volume! Next, I share with you my most unusual Black Bear hunt where I call in three different Bears with a varmint call and take the best one. Also included are some exceptional hunting for Wild Boar in Texas, as your hosts relive their recent hunts across North America. Finally, join Trevor Brittingham and I as we team up on a Bobcat Hunt where Trevor makes a perfect shot on our smallest Big Game, the Bobcat. I hope you enjoy this addition to our Big Game Series. We have included an offer to win a Free European Wild Boar Hunt for all who purchase Ultimate Hunting for North American Big Game III.